What qualities do you need if you want to get offshore job and work on an oil rig? Oil rig jobs are considered well-paying wages for unskilled workers, but also as an immensely challenging. What does it mean working on an oil rig and what can you earn offshore? An oil rig job: What is that? It is estimated that there are about 2,500 oil rigs and offshore platforms where there are hundreds of vacancies / oil jobs worldwide form North Sea to The Gulf of Mexico oil fields. Offshore oil rig jobs could be found almost all over the world at Arctic region, Norway, United Arab Emirates, Saudi Arabia, UK, Dubai, Scotland Aberdeen, Angola, Sudan and much more oil and gas fields. Also German offshore oil rigs are used as the center plate. So what is an ideal offshore job place for all who experience something completely different and work in an exotic place at the end of the world? And what do you really mean on offshore oil rig job? It would be easy to imagine an offshore oil rig like a factory with the associated supply station. This means that in addition to the geologists, engineers and workers who work directly in the oil and gas extraction, also a lot of support staff involved in oil rig operating: warehousemen, cooks, doctors, pilots, security personnel, cleaners, painters, radio operators, and much more. So even women can find work on oil rigs. 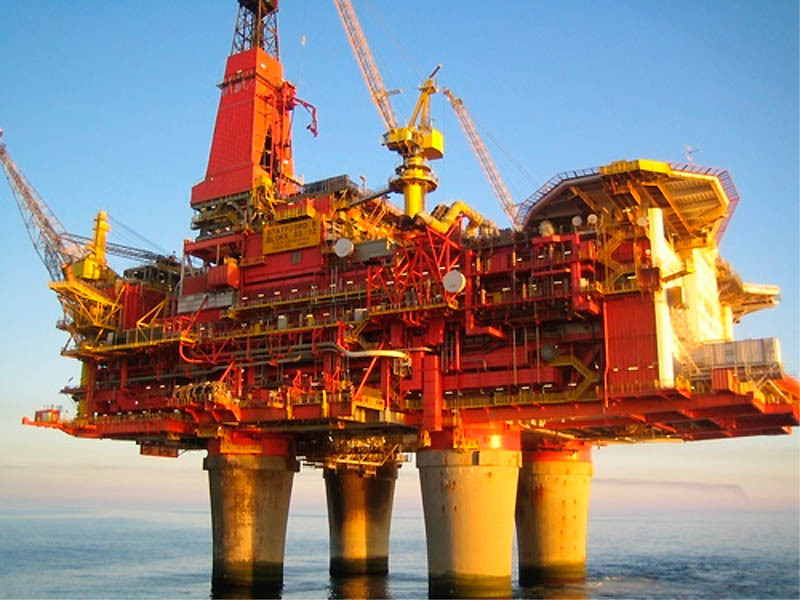 Basically, there are three areas where you should look for offshore oil job: offshore oil companies, drilling contractors and service providers. Depending on qualification they hire very specific professionals, but also wanted unskilled workers. Oil companies employ, for example, geologists and chemists who have studied to detect gas or oil reserves and efficiently manage these explorations. Service providers provide the transport personnel, supplies and everything else available, it takes on an oil rig in order to keep the business running. Some specific professionals are in very high demand on offshore oil rigs, they got the best-paid job. In the oil drilling companies that operate the respective offshore rig, chances are the best that you get a well paid job without any special skills. Here, for example, cleaners, galleyhands and so-called roustabouts, roughnecks that perform the functions of helpers in drilling and moving equipment or other low-skilled jobs. Working on offshore oil rig: lots of money and lots of free time? The pay and leisure time with a job on an oil rig sounds incredibly well: at least 3,000 euros monthly wage, while a two week holiday for each shift of work offshore. These jobs are actually good, but you should also bear in mind that this scheme is appropriate for skilled workers. There are some other jobs where you earn lower wages about 2000 euros but you can own this job without any skills and experience. Experience shows that it is especially difficult when you need time for friends or family so you should keep in mind this option. You must also meet certain basic requirements to work on an oil rig. What characteristics you must have to be able to work on oil drilling rig? Since the team is international and the language of business, therefore, English, you are required to have appropriate language and communicating skills. On foreign oil rigs, it is also advantageous if you understand the language of local workers (Mexico, Norway, Russia). Physically you have to do more work than the average. You should have no chronic diseases, do not suffer from anxiety, dizziness. The workplace on offshore oil rig is more or less far out at sea. Although many rigs are floating, the power of the sea is constantly present. This can initially be adventurous, but quickly loses its appeal. Unskilled workers who work as Roustabout outdoors are also constantly exposed to the weather conditions. Depending on the season means heat, cold, rain, and snow or intense sunlight. Although many offshore oil rigs are very large, you can not move freely across them because free space offshore is quite limited. The rooms and common areas are sometimes spartan. Also on modern platforms, you can not expect that you can take a relaxing walk through the park. The comparison with general onshore factory is very appropriate here. When it comes to a lot of money, many job seekers try to profit from offshore. Therefore, there are various offers of Headhunters and employment services that can be paid to ensure that you get application forms or be transferred to the respective operating offshore companies. Whether that makes sense, you should decide after you have checked the offer carefully. Usually it is sufficient to hold in the usual way your eyes open for jobs and apply normally. How does an oil rig job? Before you start working on offshore oil and gas rig, your skills and your physical fitness will be examined in detail. After that You will receive training on how to behave on offshore oil rig, safety rules and the way of working there. A special feature is the introduction in how to exit a helicopter in case of accident. Only if you successfully pass the subsequent audit, you can get you offshore job and work on oil & gas rig. You will then be taken to your offshore workplace. In general, you are working in two weeks in 12-hour shifts. This means that you have little free time during working period. For that you get just after or maybe even twice as long free. Again, it depends entirely on it than what you are busy with. For important offshore jobs, it happens that the holiday must be interrupted. Depending on the employing oil company and type of contract you may working on a single offshore oil platform or relocated after the completion of a project to another offshore oil rig. Although even a woman can find job on offshore oil rig, but most of offshore jobs are for healthy men only, striking example is a job of Roughnecks / Roustabouts. They work in teams in which everyone has a specific task: Roustabouts usually take care of the cleaning, rust removal and painting of metal parts. Floorhands mostly do the physical work (moving cargo, heavy drilling equipment, liquids) and toolpusher monitors the team. These low-skilled requiring minimum experience workers remain the longest time on oil rig during a specific project till completed. Surveys of the worst jobs in this work demonstrate top spots despite good pay again and again because the dangers. If you are working on an oil or gas rig, you are involved in higher risk then other onshore jobs. Except individual risks of offshore activity is added long way to the nearest hospital. Bad weather can delay or prevent the departure of rescue helicopters.